Inspired by nature, Fern puts the person at the center of work with new levels of balance, flexibility, and performance. 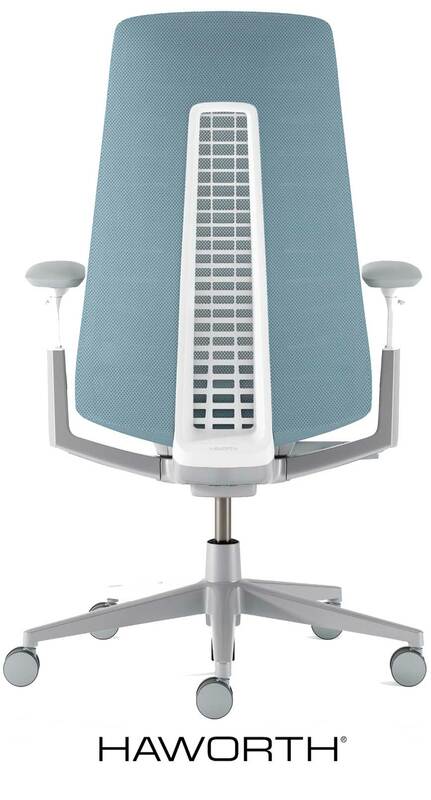 Fern’s Wave Suspension™ system is the heart of the chair and the key to its back comfort and flexibility. Fern accommodates the diverse working population with new levels of all-day comfort, regardless of size, posture, or work mode. Research-driven, Fern’s ergonomic innovations provide total back support and respond to your every movement. Fern provides a comfortable, engaging sitting experience that creates good feelings, keeping you balanced and centered in your chair. Its approachable design is less machine, more human, with mechanics discreetly integrated into the warm, residential aesthetic.